Most of us associate non-western countries as being underdeveloped and having a poor quality of life. However, money has no relevance to one’s state of happiness. We have long associated money and possessions with happiness and, sometimes without even realising it, we look down upon underdeveloped countries and their people. Based on my experience in these “poor” countries however, I have concluded that we in fact are the poor ones. We are never truly content from within, we continuously purchase items in an attempt to fill the hole that consumerism has created. In this article you will find the two countries that I visited last year when I traveled to Asia with my schoolmates. This experience really got me thinking about whether countries without a western influence are actually happier. What’s the secret in Myanmar? Myanmar is one of the poorest countries in Southeast Asia. So, it’s not exactly surprising that my first interaction with a local was filled with pity. I felt bad that I was this fortunate in life and others are struggling to eat. 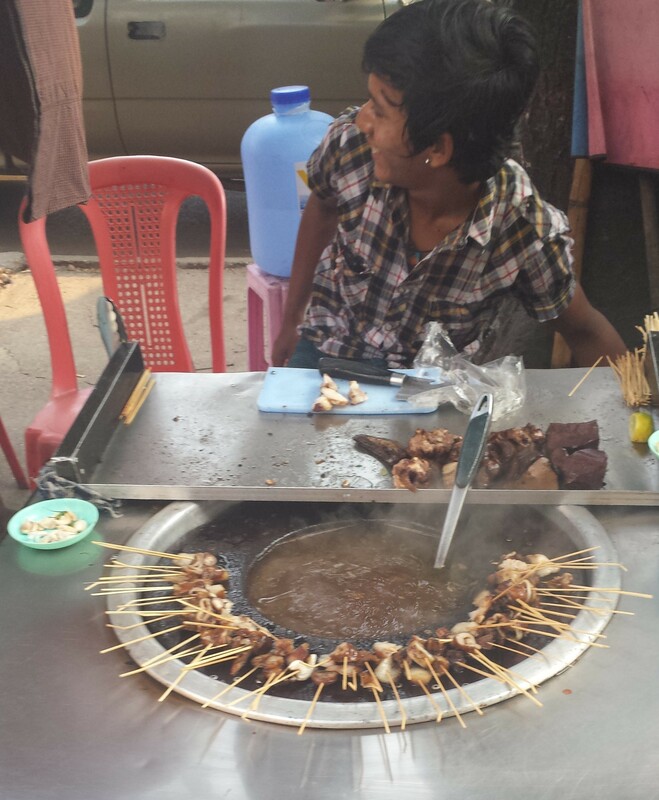 However, the people I saw in Yangon were living happily together, feeling no pity or cursing their situation. I marvelled at their positivity; I curse life when the staff at Mc Donald’s forget to give me sweet and sour sauce for my fries. Bagan was a completely different experience, it was like travelling through a portal of technological regression. 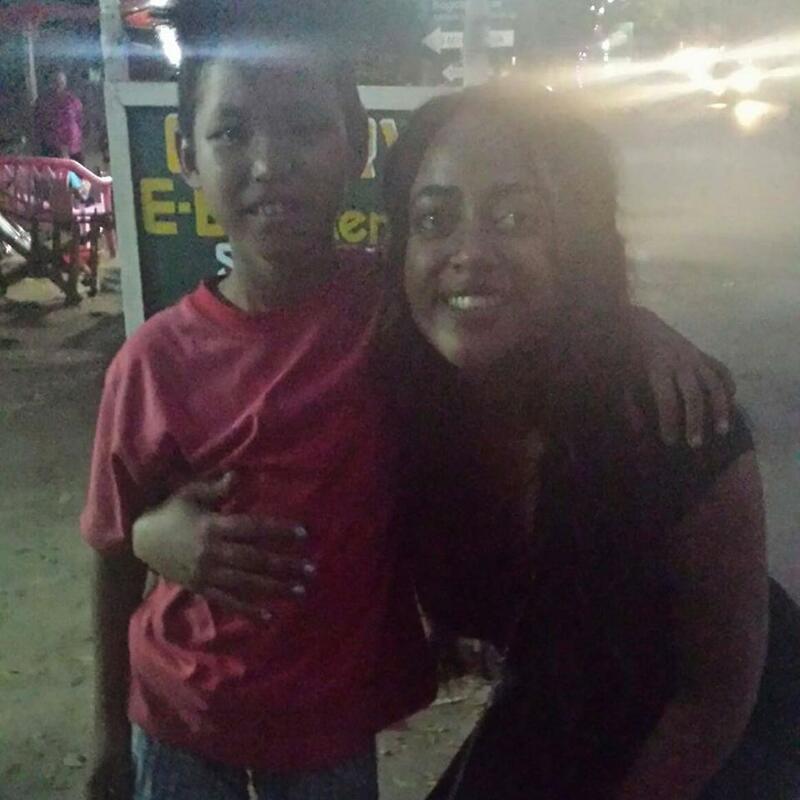 I met a young Burmese boy named Aang Aang who was always happy and excited to see me. We met on my second day in Bagan. He was fascinated by my skin colour and kept doing breakdance moves on the grass in front of the lobby. Shameless as I am to admit it, I joined in and I guess I passed Aang Aang’s “secret test” as soon Aang and his friends had surrounded me; I had apparently been accepted into their crew. They were unlike any kids I have seen or met before: they were always happy and never wanting anymore from life than the opportunity to play outside and using their imagination to create new games. When asked if they are happy, they all screamed yes! Back in Holland, I asked my cousin the same question and it somehow turned into a whole argument resulting in her slamming her bedroom door. Puberty, am I right? During my time in Bagan, I also met a small Burmese family. The husband named Son (identity crisis?) worked in the temple, selling paintings and figurines. I was looking for a turtle for my mum’s collection and I mentioned this to him as I couldn’t see any turtles anywhere. He immediately started making one and invited my friends and I to eat with his family. During our dinner, he started telling us about his life and his kids and how he is working hard to feed his family. In answer to my question: are you happy? He replied: “of course I am! Being poor has nothing to do with my happiness, I love my wife, kids and friends! This is when i realised that even though there was an age gap between Aang Aang and Son, they shared this thirst for life. Before arriving in Koh Samui, I thought that it would be quite similar to my experience in Myanmar as the country is known as the “land of smiles”. 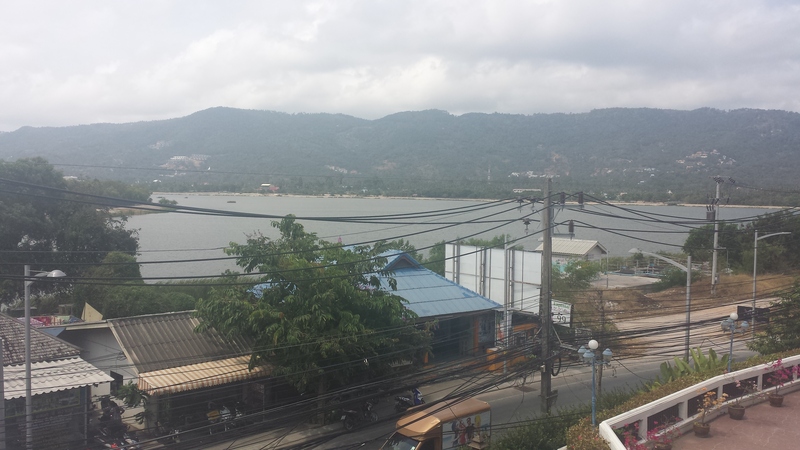 However upon my arrival in Koh Samui, i could already notice the differences to Myanmar. Rather than seeing the smiles I had grown used to seeing on the faces of the Burmese people, I saw instead expressions of mild disappointment etched on the faces of the Thai people as they beckoned me into their shops. I walked along the road towards the city center, named Chaweng center and that’s when I saw it: a huge mass of people moving amongst chaotic infrastructure; a beautiful ocean view jagged and dissected by electrical wires. So this is what “development” looks like? I asked myself, triggering a quote from the late Thorstein Veblen: “It is always sound business to take any obtainable net gain, at any cost and at any risk to the rest of the community.” This development is having negative impacts on the community, which finds itself neglected in order to accommodate the high influx of tourists. Koh Samui has been greatly influenced by the western world. According to statistics, there are more tourists visiting the island than there are locals living on the island. The expansion of tourism in Koh Samui seemed to have happened overnight and attracts millions of visitors each year. On the one hand the locals cannot argue with the revenue generated by tourism but they are not accustomed to the privileges that we are and therefore, find it stressful to provide us with what we want. A tour-operator named Sao and an bubble-tea vendor called Lookpla felt that their voice wasn’t being heard and that their precious island was being drained of all its resources. Even though both ladies greeted me whenever I passed by their offices, I knew that it wasn’t genuine happiness. I missed the excitement from Myanmar and the full-teeth smiles that I saw when I would greet my Burmese friends. My travel experience had a profound impact on my view of life. Aang Aang and Son were certainly not rich but they were still happy. The Thai ladies on the other hand, were successful in their business because of tourism, but were quite discontent with their environment. They both showed concern for the over-development of Koh Samui. Would the island eventually lose its identity and become nothing more than an extension of the west. With this in mind, I can answer my own question. The answer is yes, in the case of Myanmar and Thailand, western influence has a negative impact on the happiness of a developing country. Those of you living in western and modern countries shouldn’t worry though, i became much happier after travelling to those countries because i applied what i learned into my daily life. Before I give you tips that I applied to my life to become happier, i want you to reflect on yourself by taking this quick online test specifically designed to measure your happiness. If you want to take a more extensive test, I recommend this 20 minute happiness test made by the psychologists of Psychology Today. The modern world offers a distraction from actual life: we confuse the short bursts of happiness that we receive from funny pet videos with genuine happiness, we confuse our net worth with our life’s worth and prioritise money over health. family and friends. We can all learn from Aang Aang and Son’s life tips. When something goes wrong, think of a solution instead of feeling sorry for yourself. You are in charge of your own happiness, take a initiative and take control. Next story Do you know wedding rituals around the world?